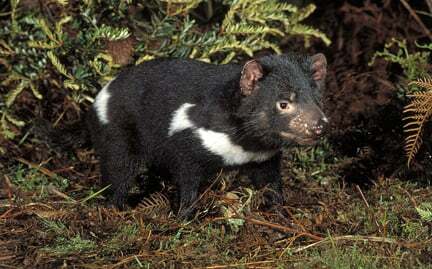 Though once found throughout Australia, Tasmanian devils now only inhabit the island of Tasmania. Though they are primarily scavengers, these devils will also hunt and are currently the largest carnivorous marsupial in the world. Tasmanian devils store fat in their tails, so a fatter tail means a healthier devil. Today, a disease threatens these rare and unique marsupials and could ultimately lead to their extinction.